WHAT I SMELL: Desert Rose opens with a soft and delicate peach which is quickly met with a non-sweetened citrus; add to this the fact that it’s airy and semi-bright. As it develops the perfume gains some body with an ambered base. However, even with this body, this is one of the lightest and ethereal perfumes I have worn in a long time. And that’s a good thing. Sometimes rose scents when added to the heat of the summer sun can overwhelm, but with this light composition you won’t have to worry about that. Before I get too ahead of myself, the pretty Damascenia rose begins to make its way to the front. It’s floral sweet and not candied sweet and it has a sparkling and vibrant finish to it. The peach remains, but a lovely soft vanilla joins in to give the perfume a more rounded finish as well as creating this silky smoothness. The perfume then moves away from being ethereal, yet it never reaches to the point of being too large. It instead remains vanilla sweetened and silky soft and smooth (and just a tad spicy)…almost like a rose flavored egg cream. The composition is a blend of Turkish rose otto and Damascenia Rose with touches of peach, Sicilian lemon, Egyptian jasmine, geranium, carnation, heliotrope, sandalwood, musk, amber and vanilla. WHAT IT SMELLS LIKE TO ME: How can I resist… Sting’s Desert Rose. The perfume and the song go hand in hand, pretty, ethereal, exotic and dreamily lovely. BOTTOM LINE: I’m not a huge fan of peach notes in a perfume, but here its nicely infused with the rose. If you’re looking for something pretty and dreamy, Desert Rose would make for a nice addition to your summer scent wardrobe… and you can’t beat the price! 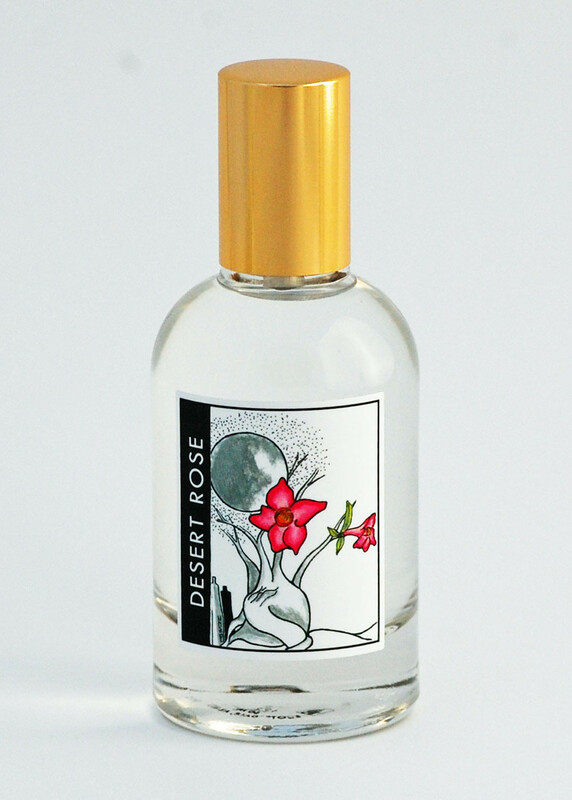 But with Damascenia rose, it’s better to be safe than sorry, so don’t over spray to ensure that the desert rose doesn’t become a desert dragon! Sample courtesy of Dame Perfumery. Categories: Dame Perfumery Scottsdale | Tags: 3 bones, Dame Perfumery Scottsdale, Desert Rose, EDP, floral, fragrance, parfum, Perfume, Perfume Review, review, rose, Sting | Permalink. Winter has come back with a vengeance today. The sun shines for a few minutes, then the sky returns to gray and the snow swirls through the heavy winds that are blowing. As it’s still February I guess this kind of weather is to be expected. But we have been spoiled by a lovely winter thus far. After reading the newspaper, feeding the cats and going for a winter walk, I put on my Saturday comfy clothes to go run my weekend errands. 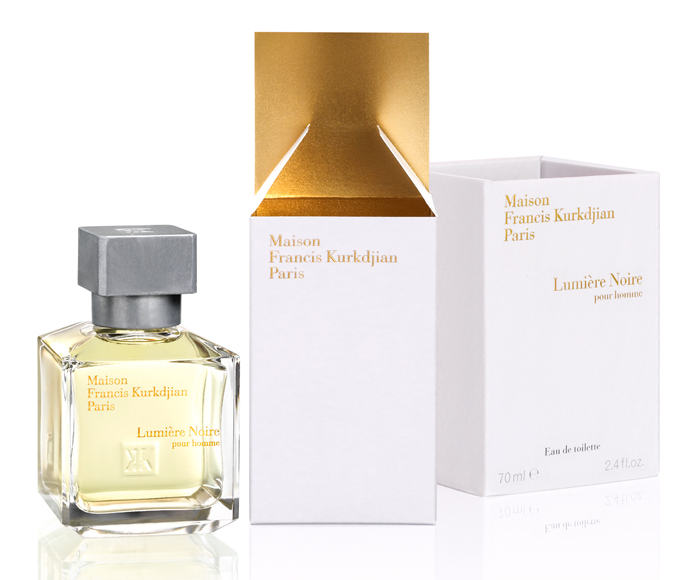 I thought I would check out a sample of Maison Francis Kurkdjian’s Lumiere Noire pour homme that has been sitting on my shelf for a while. When first applied, I found this to be a little spicy (most likely the cumin and cinnamon), but surprisingly green at the same time. OK, I typically love heavy scents and my husband loves the lighter green scents; so I’m thinking this is nice, but not really my cup of tea. So I go to my husband and ask him what he thinks. No surprise, he loved it. So we head out of the house, run to the stores, and I could not help finding that this scent, in a lovely dry down, wafted and swirled up and around me through the wind. Lumiere Noire is a rose scent, but it is so faintly so that you don’t immediately think “roses.” Although this is for men, I do believe this easily fits into a unisex category. This is a lovely scent that I found to be clean and fresh. I would also say that this is a safe scent; you won’t offend others or yourself when you wear this. Lumiere Noire worked perfectly for a gloomy errand running winter day, so much so that I can’t wait to see what it can do for a beautiful and warm spring day. Simply lovely. Play of opposites for both agreements as two extremes which meet. An eau de toilette fragrance mysterious that draws up cause the abandonment of self. Categories: Maison Francis Kurkdjian | Tags: 4 bones, EDT, green, light, Lumiere Noire, Maison Francis Kurkdjian, review, rose, spicy | Permalink.